What's the best way to build abdominal muscles? muscles are the most wanted muscles on any male or female physique. Usually, abdominal questions are followed by a comment such as, "I do 100 sit-ups a day and I'm not seeing any results." This book will outline the information you need to improve your body in this region. Throughout the book I often will refer to the abdominal region as the core. The core musculature is made up of many different muscles and groups. To target the entire core we must always address each of these muscle groups and prescribe exercises, which correspond to improving not only aesthetics but also their function. Exercise is an extremely important, however not the only factor in defining the midsection. Everyone has abdominal muscles, however, most of the population never sees them due to the "spill over tumor" hanging around their midsection. The trick or solution to viewing their abdominal region is simply a good core-conditioning program coupled with a fat loss nutrition program. 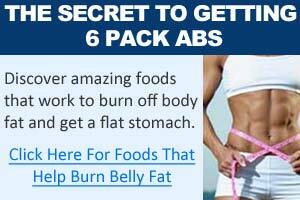 If you want to see the core region and the six-pack, the fat has got to go! By making a couple of adjustments to your current diet and cutting calories, in addition to a core based exercise program, you can have those prized abs you want within a couple of weeks or months, not years as you might have expected. I'll be the first to admit; abdominal information can be confusing. We hear too many different concepts, opinions, rumors, and theories from experts, doctors, personal trainers, friends, teachers, and parents. In this book, I will give you the facts. 1. If You Train Abs Everyday, You're Guaranteed a Six-pack. This misconception was funneled through the bodybuilding world. Muscle tissue is muscle tissue. It needs to rest and recover just like your bicep. You would not do 100 bicep curls everyday would you? Simple anatomy bucks this approach unless you are using some performance enhancing substances. 2. You Can Eat Pizza and Hamburgers and Still Maintain a Six-pack as Long as You Workout Right After You Eat Them. This is another misconception. Having a diet, which contributes to muscle gaining and fat loss, is the key to uncovering those abdominal muscles. Go into your local fast food restaurant and look around - how many of people have the abdominal region you desire?! 3. Sit-ups Build Abdominal Definition the Best. Sit-ups are perhaps the worst exercise for strengthening our core region. There are many factors that contribute to this thought process. During sit-ups your main trunk flexor, the Iliopsoas muscle, does most of the work. This over facilitation often leads to lumbar lordosis (what is this?) and back pain. 5. People on Magazine Covers Are Born with Good Midsections. This misconception leads to many people trying to be like someone else. These models, men and women, are somewhat genetically gifted. The gift comes from the ability to keep fat at a minimum, however, many of these so-called genetically gifted men and women workout every day to maintain this admired look. You can write off that excuse. 6. You Should Do Twists with a Stick or Side Bends to Reduce Love Handles. These exercises can be dangerous. I recommend taking them out of your routine, as you'll see in the exercise section. To reduce love handles you simply need to lose the fat. Our core-conditioning program will contribute to toning the musculature in this area; however, fat loss is of the up most importance. (illiopsoas) and the upper abdominals. The over strengthening of these muscles can lead to lower back pain. This is due to muscle angle and attachment of the illiopsoas. 8. It Takes Years to Get Great Abs. Again you have to understand everyone has abdominal muscles. 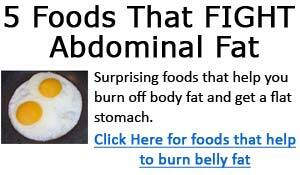 You just have to train them in the correct order and reduce the fat surrounding them. For some this may take a few weeks, for others longer. Different body types develop at different rates. This is just the scratching the surface! "Maximum Weight Loss & Fitness"